Bears. Beets. Battlestar Galactica. Can't you see Jim's impression of Dwight in your head, with those amazing glasses and that hair parted harshly down the middle and that dijon mustard colored shirt? 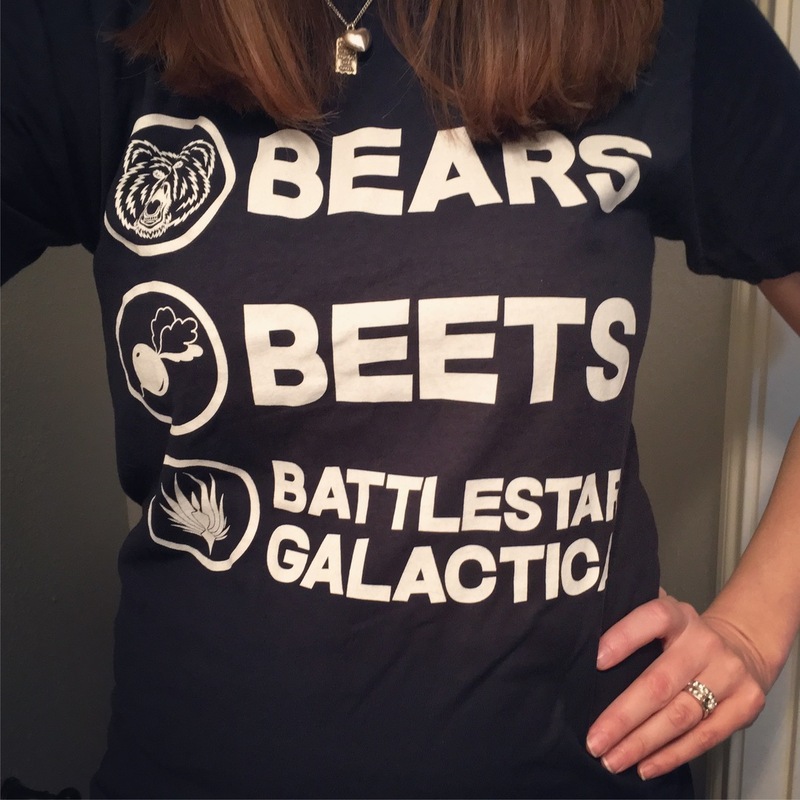 If you love the rivalry between Jim and Dwight, this design is just for you! 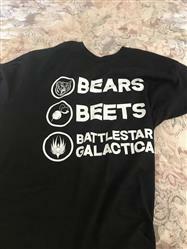 Ordered a shirt, bears, beets, Battlestar Galactica, (I ordered the wrong size) but ended up giving it away as it was very popular. I received the shirt very soon after ordering. Great service! I will order again!! This shirt is perfect! Pretty comfy, and looks exactly like the picture. Nice feel and weight to the material, good fit. 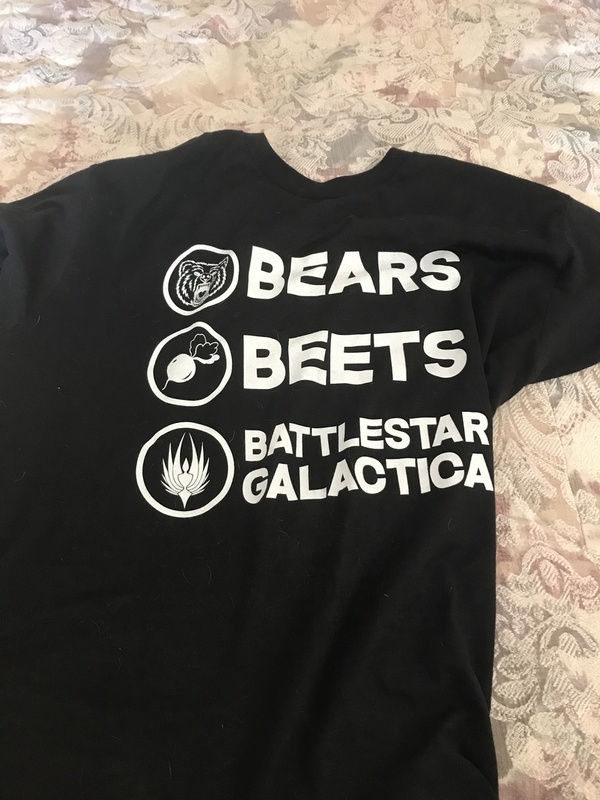 I love the office and needed to have some tshirts. Great prices, amazing quality and fast delivery! I ordered 6 more tshirts after I received this one!! !